Like many 18-year-olds fresh out of high school, Halee McBeath was looking to gain independence from her parents and start a new chapter of her adult life. Halee and her two close friends, Keeley McCormick and Andrew Bone, began looking for a rental property in Airdrie in September 2013. With a limited budget and the current housing market, their chance at freedom seemed bleak. 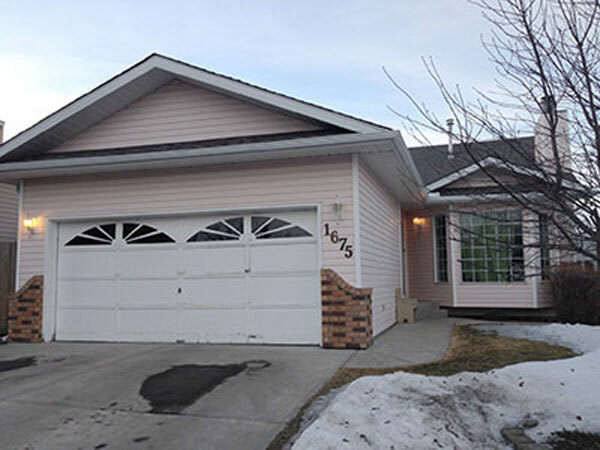 Keeley’s father and stepmother, Scott and Kim McCormick, have owned a rental property in Airdrie since 1992, a block from Keeley’s childhood home. When they saw the difficulty of finding a rental property for their daughter, they suggested moving everyone into the house they owned. The three kids moved into the main level of the 1,300 square foot bungalow in October 2013, and they found a couple to live in the fully developed basement suite to make rent lower for all tenants. All renters pay $350 a month plus roughly $50-$60 a month in utilities. “I always feel relaxed and at home here. There is never any roommate stress and certainly no landlord problems,” says 18-year-old Halee McBeath in a rented 1,300 square foot bungalow that she shares with 4 other tenants. Halee said she likes her living situation, loves her roommates and appreciates her relationship with her landlords. “I take pride in living here and we all like to keep things looking nice. As far as roomates go, I couldn’t ask for better ones,” she said. “Kim and Scott [McCormick] are easy to talk to, they’re easy to get a hold of and it’s a relationship between friends with respect and trust,” she added. Halee says she understands that her and her friends got lucky, but she knows that this is still a business deal. They have to honour their lease agreement, and take care of their house. “Scott is always here if anything goes wrong,” Halee said. “But there is also a sense of responsibility to make sure things don’t get beyond repair. If we break or ruin something it is up to us to fix it. Working full-time at Starbucks doesn’t pay much, Halee said, and she said she thinks this place is the perfect transition to allow her to save money for her future. “My landlords understand that we are all in limbo. We’re all working towards something, like school or travel, so I don’t see why I would leave,” she said. Halee said she feels comfortable with the situation because she knows that Keeley won’t abuse the fact that her parents are their landlords.